educate the largely illiterate Russian masses in a "true" communist spirit. 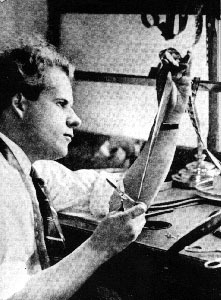 anticipated the metaphors of STRIKE (1924), Eisenstein's first feature. to the masses and flexible enough to illustrate the latest party line. "simple, realistic pictures with clear plot." as were several other highly original projects. the switch to directing cheerful agitkas and was thus perceived as a threat. allowed to start working on his first sound film, BEZHIN MEADOW. it, "Eisenstein was apologizing for being Eisenstein." of montage and "typage" (casting non-professionals in leading roles). in the Soviet cinema at a time when many of his friends were being arrested. resembling one of Stalin's secret police. synthesis of the arts which has haunted artists for ages. publication of a new English-language edition of his writings.